Including support organisations such as Deaf Aotearoa NZ and Hearing Association of NZ Inc, hearing therapy services and hearing dogs. NZVIS provides free access to NZSL interpreters. 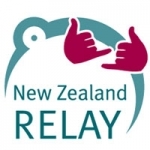 This allows people who use NZSL (New Zealand Sign Language) to communicate with hearing people either by phone or face to face. . . . The national body supports 32 fully autonomous and separate associations which are dedicated to: . . .